The latest exciting development from Sonus faber is the release of their exciting new loudspeaker collection known as Sonetto. 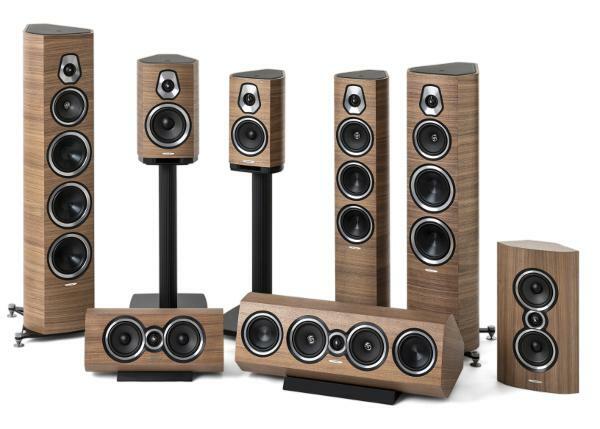 This line is comprised of two bookshelf models, the Sonetto I at $1699 per pair and the Sonetto II at $2299 per pair, three floor-standing models, the Sonetto III at $3999 per pair, the Sonetto V at $4999 per pair, and the Sonetto VIII at $6499 per pair, two center channels, the Sonetto C I at $999 and the Sonetto C II at $1999, and an on-wall, the Sonetto Wall at $1199. The top of each cabinet is hand-sewn leather, and the curved, lute-shaped sides and metal accents result in that elegant Sonus faber style. This company has always been known for loudspeakers that are as beautiful to see as they are to hear.